A president of the Shuswap Environmental Action Society, Jim Cooperman was born in Minneapolis, Minnesota on April 27, 1946; attended high school in San Diego and graduated from the University of Berkeley in 1968. 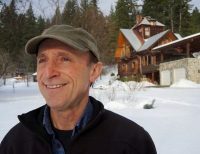 He immigrated to Canada in 1969, where he built a log home on 40 acres above Shuswap Lake at Lee Creek where has lived and organically gardened with his wife Kathleen. Together, they have five children and six grandchildren. Jim Cooperman received his teaching credentials from Simon Fraser University in 1970 and then briefly taught elementary school. After twenty years of construction, log building and saw milling; he joined the environmental movement and from 1990 until the year 2000 was the editor of the British Columbia Environmental Report, a quarterly journal published by the B.C. Environmental Network. He formed the Shuswap Environmental Action Society (SEAS) in 1989 to help develop land use plans that included the creation of 25,000 hectares of new parks in the region. In 1986, Jim began researching and writing about local history and then helped create and edit the first two editions of the Shuswap Chronicles, in 1988 and 1989. In 1993, he authored the chapter on Canada for "Clearcut, The Tragedy of Industrial Forestry;" edited by Bill Devall, published by Sierra Club Books and Earth Island Press. In 1998, he wrote "Keeping the Special in Special Management Zones, A Citizens' Guide," published by BC Spaces for Nature. In 2005, Jim Cooperman started a long-running column for a bi-monthly newspaper column on local geography called Shuswap Passion, also made available as a blog, and he continued to volunteer as president of SEAS, particularly on watershed issues. In 2010, he helped create the Shuswap Watershed Project that included the region's first-ever watershed map poster and an educational handbook. The Shuswap is a beautiful and bountiful place - a region of spectacular watercourses, mountains, micro climates, biodiversity, and home to many species, including humans. All of this and more is richly described in environmentalist Jim Cooperman's new book, Everything Shuswap: A Geographic Handbook - Volume 1, which has already received lavish praise from many quarters. Through his Shuswap Market News column, Shuswap Passion, Cooperman has provided stories and data about the 1.55 million hectare region he so obviously loves. This informative and easy-to-read journal takes the reader on an extensive and interesting exploration of the Shuswap, looking back 4.28 billion years ago. Learn about the forces that created the Shuswap; how volcanic, seismic and sedimentary processes forged the land that has since been shaped by other geologic events such as the ice age, weather and sedimentation. Learn how geology created the watershed that defines the Shuswap by its extensive network of rivers, lakes and streams. A chapter on the Shuswap's diverse ecology travels through each watershed's ecodivision, part of B.C. 's system that compares parts of the province to other parts of the world. "It is the Shuswap's complex distribution and location of its many mountains, plateaus, valleys, lakes, creeks and rivers plus its many microclimates that determine why there is such a variety of ecosystems to appreciate, explore and study,"; writes Cooperman. From large animals such as moose and grizzlies to smaller animals, including the wonder of winter insects, Everything Shuswap looks at who we share the region with and why we need to worry about the health of our resident wildlife. A chapter on The Secwepemc People, who have called the Shuswap home for thousands of years, takes the reader into the lives of these once nomadic people. "Few people are aware that historians estimate a population of between two and three thousand or more Secwepemc people lived in the Shuswap lakes region prior to the arrival of the fur traders in 1811,"; writes Cooperman, pointing out that while they left no written records, they have a rich oral history shared through legends and traditions, some of which exist today. The author relates the history of the arrival of Europeans to the Shuswap Territory in 1808 and the beginning of the fur trade, as well as excerpts from a Hudson's Bay journal written over a 10-year period beginning in 1857. Cooperman describes the dark period of residential schools and the near annihilation of the rich Secwepemc culture and the terrible effect it has had on generations of First Nations. On a much happier note, the story of how day and night and the seasons grew from a spat between a bear and a coyote is an example of the First Nations storytelling tradition that always included an important life lesson. Historical figures are included in this chapter, including beloved late Neskonlith elder Dr. Mary Thomas, who left a lasting legacy of building bridges between cultures. Cooperman follows up the fascinating chapter on the Secwepemc First Nation with a history of settlement, beginning in 1860, and including the era of steamships and the building of the Canadian Pacific Railway. Learn about early logging and award-winning apple orchards and meet some of the area's first pioneers. An extremely interesting book, supplemented liberally by equally fascinating photos Everything Shuswap is also a unique project facilitated by a partnership between Cooperman, School District #83 and Shuswap Press, supported by local governments, businesses, organizations and individuals. Cooperman has gifted his work to the school district, so proceeds from the purchase of every book will be devoted to outdoor learning in the Shuswap. 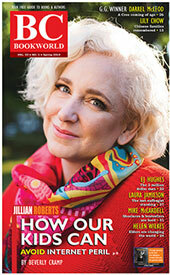 It is a gift, crafted with obvious love for the area that impresses Mayor Nancy Cooper. The man is wearing an Adams River Salmon Run cap, bent low to the water and snapping photos of sockeye salmon thrashing near his feet. His smile seems as wide as the river itself. A record sockeye return has been painting the Adams River red, and people from around the world are fanned out along its banks to experience a magnificent bounty. This is a scene from Roderick Haig-Brown Provincial Park in 2010 where I first encountered outdoors enthusiast, environmental campaigner and fish lover, Jim Cooperman. A resident of nearby Lee Creek for 48 years, he recently explained to CBC Radio that he was faced with a decision in 1969: “Go to jail, Vietnam or Canada -- which would you choose?” He headed north, built a log home with his wife, raised 5 children and worked at teaching, log home building and environmental advocacy. He began writing an outdoors column called Shuswap Passion for the Shuswap Market News, it was a personal dispatch for environmental stewardship. After a dozen years, that column has shapeshifted into a 240 page book. Sandwiched between the more famous Okanagan, Kootenay and Thompson areas, the Shuswap is a region unto itself. Most British Columbians aren’t familiar with it, drive through it, or think it’s all about speed boats, houseboats and ATVs. The Shuswap watershed is vast -- a 9,644 square kilometre jigsaw puzzle of sub-drainages between the Thompson Plateau and Monashee Mountains. Its southern rivers and creeks stretch into what many consider the North Okanagan (at Grinrod); includes the Shuswap River, Adams River and Lake (second deepest in B.C. and nursery for 20% of the Fraser River sockeye runs), the Salmon, Spallumcheen and Eagle Rivers -- plus half a dozen others. Cooperman guides us through each watershed, pausing at key parks, valleys, old growth forests (including an interior rainforest), providing relevant historical context along the way. Early chapters on ecology and geology trace the physical landscape, while stories and profiles of indigenous peoples and settlers occupy most of the pages. There is a strong sense of place throughout. Among the historical figures profiled is English painter, Charles John Collings, whose work hangs in Canada’s National Gallery and London’s Royal Academy. After being compared to British artist J.M.W. Turner once too often, he pulled up stakes in 1910 to homestead with his family at the remote hamlet of Seymour Arm. He continued to paint in western Canada, becoming famous as the “Recluse of the Rockies”. Quebec’s Alexander Fortune was an Overlander who came for gold on the Columbia River, but fell in love with the natural meadowlands on the Spallumcheen River. He was first to pre-empt farmland near Enderby. Neskonlith Chief George Manuel survived residential school in Kamloops and later rose to prominence with the National Indian Brotherhood to became the first president of the UN affiliate, World Council of Indigenous Peoples. He was nominated for a Nobel Prize three times. Pioneer conservationist Scotty Mitchell worked at Granite Creek Hatchery and one hundred years ago wrote about the demise of the precious sockeye runs. He wanted a halt to fishing until the stocks recovered and, “criticized the early settlers who pitch forked wagonloads of salmon to fertilize their crops and who wantonly shot the hawks and ospreys that prayed on the ling cod.” There are other intriguing characters and community builders. Cooperman draws on detailed writings of ethnographer James Teit (who later campaigned for retribution for aboriginal people), Hudson’s Bay Company Journals, explorer/surveyor George Mercer Dawson (who wrote the first study of Shuswap culture) to shape the early contact period. Inland Sentinal newspaper accounts, local archives and the voices of pioneers themselves unravel the story of settler culture. It’s often said that British Columbia is remarkable for its geographic diversity; Everything Shuswap makes a convincing case for better understanding and appreciating one of this province’s best kept secrets. Set your compass -- or GPS -- for the Shuswap. **The students of School District #83 will benefit from book sales that are being directed to outdoor learning, and Everything Shuswap will become a classroom resource.